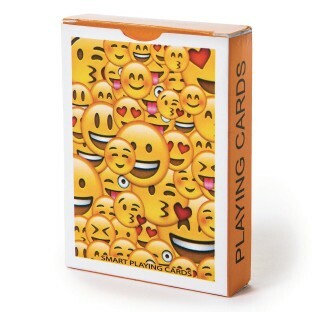 No phone needed with these emoji characters! 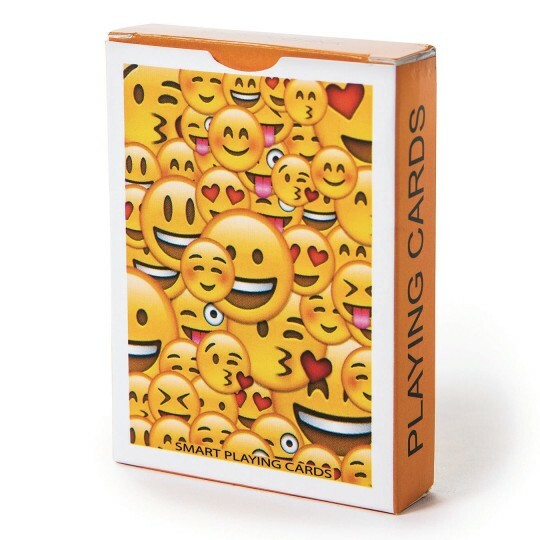 Playing cards with a smiling emoji design print on the front of each card. 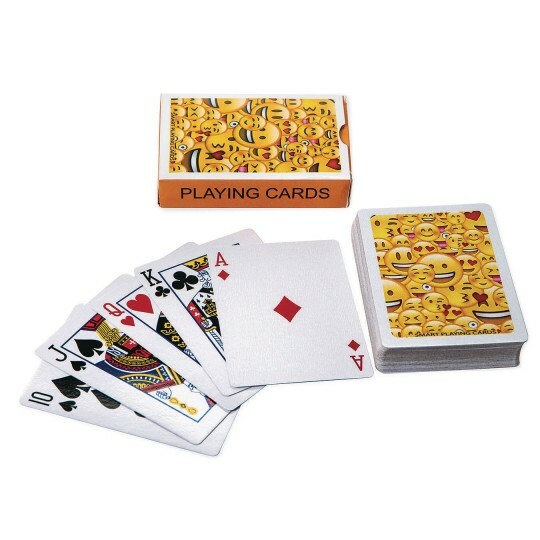 52 card playing deck plus 2 jokers. Cards measure 2-7/16” x 3-7/16”. Packaged in a tuck box.